With our multi-user feature, you can create and manage a team, giving them access to various aspects of your websites. As mentioned in our how user roles work article there is a special role: the company owner. This role is exactly the same as a company administrator in all but one respect. Only company owners can close down a company. Each company must have one and only one owner but it is possible to transfer ownership between users. To transfer ownership you will need to take the following steps. First, log in to MyKinsta and go to the “Users” section. 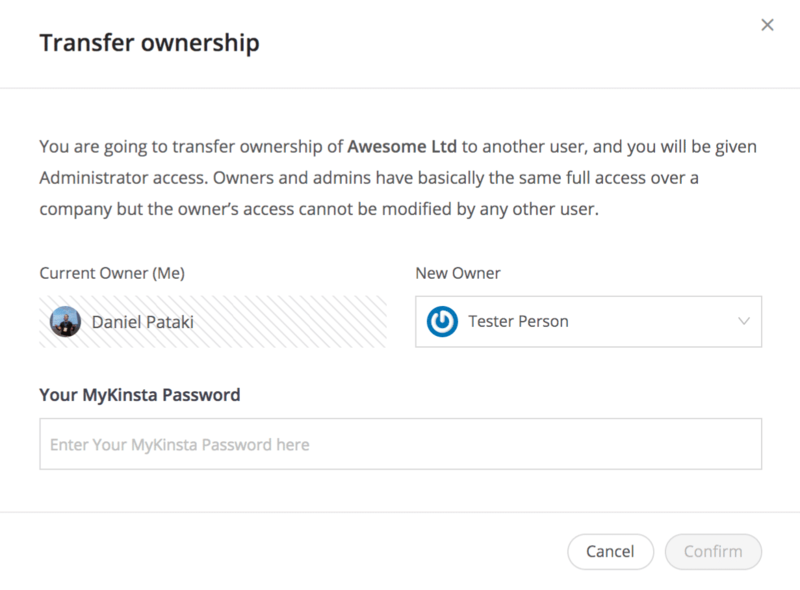 Click on the “Transfer ownership” link on the right-hand side of your user’s row. In the dialog select an available user. Note that you must have at least one company administrator aside from the owner to be able to transfer ownership. Fill out your password and click on confirm to transfer the ownership. Please, let us know what you think! → How do I add KeyCDN to my Site? → Can I Have Multiple Plans Under My Account? A cookie is a piece of information that a website stores on a visitor’s computer. We use this for some functionality on our website to work properly, collecting analytics to understand and improve a visitor’s experience, and for personalized advertising. You can accept all cookies at once or fine-tune your preferences in the cookie settings. These cookies are needed for our website to function providing payment gateway security and other essentials. Therefore they are always on but they do not contain personally identifiable information (PII). WordPress Cookies WordPress sets a couple of cookies that track logged in users and store user preferences set in their WordPress user profile. These are set for members of the Kinsta website only - members of our staff. Google Analytics Analytics help us deliver better content to our audience. We have made sure no personally identifiable information (PII) is sent by anonymizing IPs. Newsletter Participation If you sign up for our newsletter we'll remove the newsletter subscription box for you. This cookie has not personal data it just indicates if you have signed up. Analytics cookies allow us to gather data to help us better understand our visitors and offer them a better experience. Google Optimize Set and used by Google. It allows us to A/B test our content to make sure we're providing visitors with what they need most. Marketing cookies help us target our ads better. We mainly use them to target ads to users who have visited Kinsta. Twitter Set and used by Twitter, used for targeting advertisements and promoting content to users who have visited kinsta.com. LinkedIn Set and used by LinkedIn, used for targeting advertisements and promoting content to users who have visited kinsta.com. Facebook Set and used by Facebook, used for targeting advertisements and promoting content to users who have visited kinsta.com. Quora Set and used by Quora, used for targeting advertisements to users who have visited kinsta.com. Copyright © Kinsta Ltd. All rights reserved. 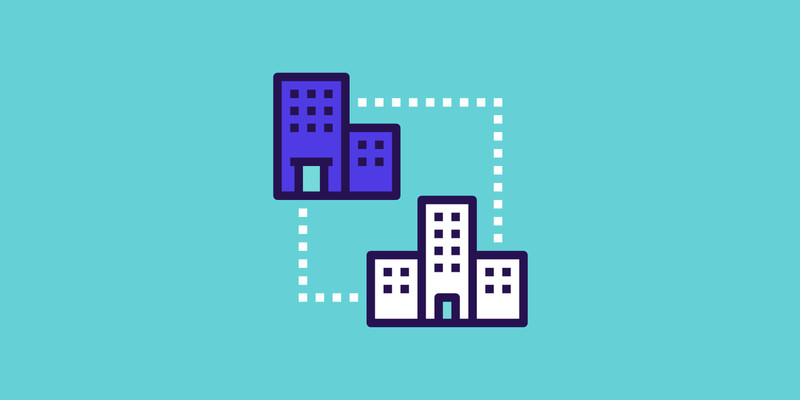 Legal information Kinsta® and WordPress® are registered trademarks. Join 20,000+ others who get our FREE weekly newsletter with WordPress tips on how to drive more traffic and revenue to your business!